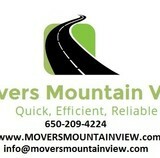 Monterey moving company specializes in affordable moving services both to and from the local area. Because we’ve been in the personal and business transportation service for over ten years – Monterey Movers have an extensive and proven track record of fast and dependable moving services. Chiarella Transportation & Relocation Services is a interstate moving company offering customized relocation services for your nationwide move.. We perform over 2000 moves per year specializing in student moves, job relocations and family moves of all sizes. We would love to serve you with a stress free move !! Melrose Moving Company is a paramount name in the Californian moving industry. Whenever you hire them, be sure that you will get the best services. Moving hundreds of families and businesses over the years entitles them to be considered one of the most experienced movers. Residential, commercial, long distance and specialty moves are their fields of expertise. 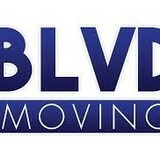 We can help you relocated wherever you want in Los Angeles and its surrounding areas. Relocating to a new house is stressful enough without having to worry about the logistics of an entire move. So when it comes to the heavy-lifting (literally), leave it to the professionals — professional movers, that is. Experienced Santa Cruz, CA moving companies consist of expert movers and packers who can efficiently pack, move and assemble your Santa Cruz belongings to ensure that you get off to a good start in your new home!